Jamie Carragher explains why Chelsea's success despite manager changes in the past and Maurizio Sarri's struggles to motivate his players have added to the difficulty of the Italian's task. 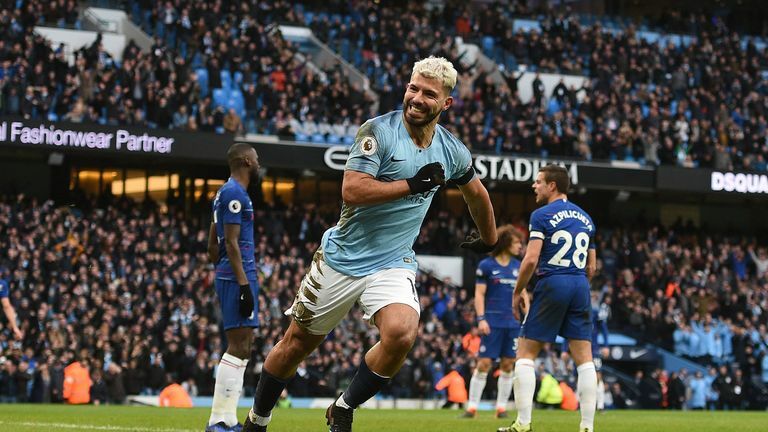 Chelsea slipped to their fourth away defeat in a row at the Etihad on Sunday as they were thrashed 6-0 by Manchester City, leaving Sarri's side sitting in sixth place, having been 11 points clear of Manchester United, now in fourth, less than two months ago. The result piled the pressure on Sarri, who has not seen his side score an away goal this year and Carragher believes that two past examples of Chelsea replacing Luiz Felipe Scolari with Guus Hiddink, and Andre Villas-Boas with Roberto Di Matteo - and the success both incoming managers had - could work against Sarri. 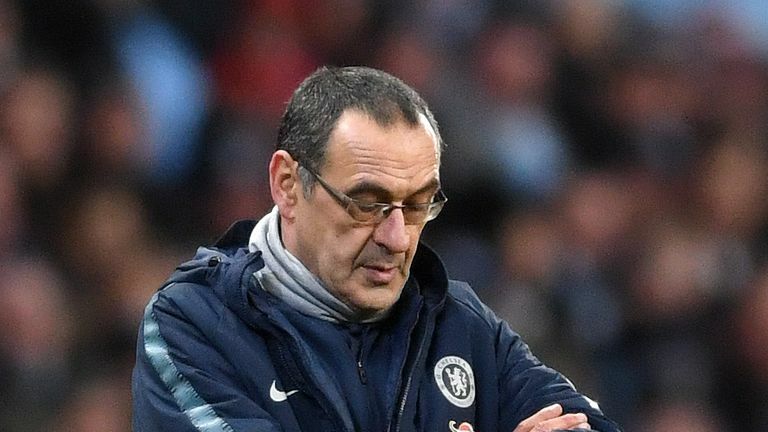 "The problem for Sarri is that Chelsea have had success changing managers midway through the season in the past," Carragher told Monday Night Football. "There were managers in the past that tried to implement a certain type of football at the club [Scolari and Villas-Boas]. "Chelsea weren't in disastrous positions in the league at either time, but you have to look at what happened the seasons after they left [Hiddink won the FA Cup, Di Matteo won the FA Cup and Champions League after coming in mid-season]. "What that does is that sends a message to the club's supporters that change isn't a bad thing. I don't think Sarri is getting that support from his own supporters and that is the big problem. His big problem is who is actually supporting this man if the board aren't. "We are not speaking about Arsenal and Unai Emery, who are on the same points as Chelsea. Chelsea are in a cup final too. We are speaking about Sarri because it is Chelsea and what they have done in the past. I would like to see them stick with Sarri, but unfortunately we know that these next set of fixtures, because it is Chelsea, will be crucial. "Top four is everything to these clubs now, even more than the cup final. The Tottenham game will be key to this as opposed to the others. As soon as Chelsea's hierarchy feel they could miss out on the top four, that is when they will feel they can make a change. "We often see teams at the bottom throw the dice and take a risk, and we might see Chelsea do the same, and see if a new coach will get them into the top four. 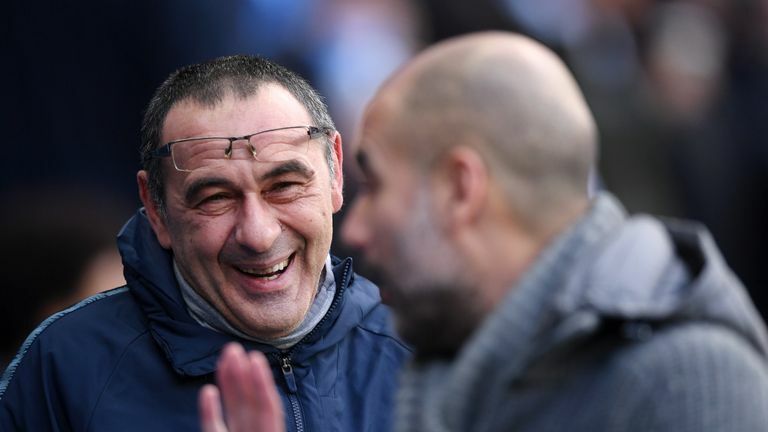 If Sarri wanted to come into a club and implement his own style of play, which will take time, he may have actually picked the wrong club." 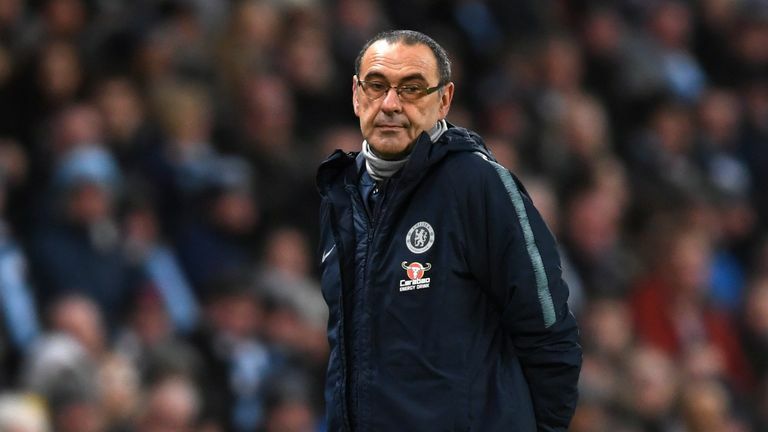 Fellow Monday Night Football guest Patrick Kluivert insisted, however, that Sarri needs time, but must be willing to adapt his system to suit the players he currently has. "First of all the players need to look at themselves - it is a team effort, they are really lacking in team spirit," Kluivert said. "You cannot give all the blame to the coach. It is a matter of results, and this result against City was a disaster. "You have to look at the players and put them in the right position. If they do not fit into the system you want to play, you have to change the system. "If you look at these players individually, I would love to work with these players and give them the opportunity to play in the position where they need to play. I think that he needs more time. It is not easy."